@NewEngland_Muse Great articles you wrote. Hope they know the talent they have writing for them. Could you sell mag. a serial? That made my day. It truly did. Do you tend to wonder what people think when they read a blog post you wrote, an article or a book? I know I surely do. If we are lucky we get some reviews stating what they liked about it but for the most part we don’t. Writing is something I love to do. It is a passion that exploded a few years ago and the burning I felt then is still inside of me. I won’t make much money with my writing unless I get a lucky break, THE lucky break, that we might dream off. So we need to look at other things that makes us continue to write. 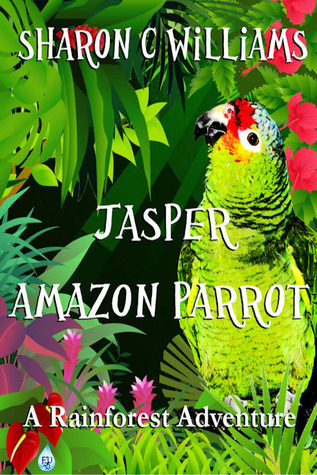 One of my reviews for Jasper, Amazon Parrot: A Rainforest Adventure made my heart sing. It mentioned how the book had been for the man’s third grade grandson. Upon receiving the book, the young boy placed down his electronic toy and sat down to read the book until bed time. Wow. That blew me away. This is one of the reasons I write. For people to enjoy the content and learn if possible from it. If I can make a child read a book, then mission accomplished. I been an avid reader for as long as I can remember, it was my beset friend growing up the books I had with me. Yeah sure the money would be nice, it really would. But until that happens, if it happens, I will continue to write books of various topics for people to pick up and enjoy.